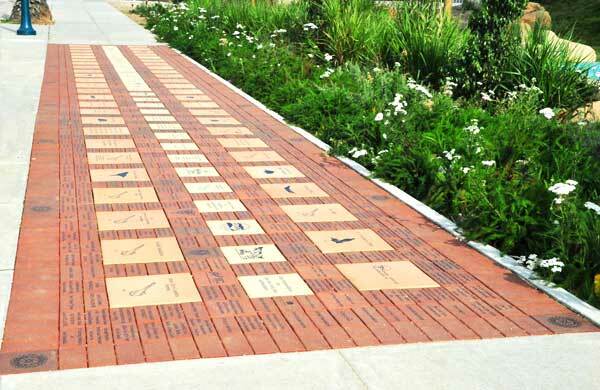 How to Use Laser Engraved Bricks for Fundraising - Laser Impressions Inc.
Engraved bricks are a popular method to recognizing donors and raising funds for community organizations. At Laser Impressions we pride ourselves in providing the best quality laser engraved bricks on the market and offer other materials for your donor recognition campaign, such as metal, plastic and stone. Our laser technicians at Laser Impressions can engrave characters with a height between 0.01 inch and 12 inches and provide the custom service you need to make your campaign unique and personal. Consider using laser engraved bricks as a cost-effective method of fundraising, business promotion and donor recognition. Schools, alumni foundations, hospitals, libraries, churches and other charitable organizations often use engraved bricks to raise funds and recognize donors. These bricks often recognize individuals who has made a contributions and supported the organization. Along withighlighting the community, the engraved bricks add personality to landscapes and buildings. To determine the number of bricks needed for a campaign, you will need to know the surface area of the installation space. Divide this surface by the surface area of each brick to determine the minimum number of bricks you will need. Multiply this number by the decimal fraction of bricks that will be engraved. For example, if you need to cover a surface area of 1,200 square feet with bricks that measure six inches on a side. These bricks have a surface area of 0.5 x 0.5 = 0.25 square feet, so the installation will require 1,200 / 0.25 = 4,800 bricks. Assume you want 10 percent of the bricks to be engraved. You will therefore need 4,800 x 0.1 = 480 engraved bricks. We recommend installing laser engraved bricks in a sand base instead of cement. This will allow you to add additional engraved bricks after the initial installation. It is also common place for an organization to plan for more than one installation, since the first installation will encourage more people to donate. A fundraising campaign involving engraved bricks can last for years if you have enough surface area. Choosing the right material and design for your campaign is one of the first step of your fundraising campaign. Laser Impressions offers a wide range of bricks in various colors and sizes. While bricks are our most popular material for donor recognition projects, we also offer a wide range of tiles, granite, and ceramics. A vast variety of fonts, graphics, and logos are also available when designing the perfect engraved brick. Let your imagination be your guide. Check out Laser Impressions laser engraved brick website at http://www.engravedbricks.com. A laser engraved bricks fundraising campaign installed on a sidewalk.